In the manufacture of hydraulic cylinder rods, precision is of the utmost importance. Even minor flaws in the circumference of the cylinder can impede the performance of the hydraulic piston—either creating a leak point or causing the cylinder to grind against other components so it cannot move freely when needed. 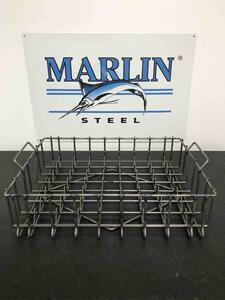 So, when a manufacturer of hydraulic systems approached Marlin Steel for a custom wire basket to hold their hydraulic cylinder rods from their machining process to their assembly process, Marlin’s engineers knew they had to design and build a mechanically-perfect custom wire basket. When designing the basket, it was important to determine exactly how the hydraulic rods would be held. If the rods were to be held vertically, that would aid draining after a wash process, but would require the basket to be designed with that verticality in mind. If the rods were to be held horizontally, they could be nested in the basket securely with a very small amount of vertical space used. Also, it was necessary to know the types of processes the custom wire baskets would be used in to finish the parts it held as they were prepared for final assembly. This included a description of the chemicals, temperatures, and forces used in each process. With this information, the basket could be designed (and tested) in a way that would ensure it could meet the client’s exact needs while preserving its useful life. To get this info, Marlin’s engineering team sent a custom wire basket questionnaire asking for details about the manufacturing processes for which the basket would be used. In the questionnaire, the client specified that they wanted the basket to be easy to hold and move by hand, that the cylinders would be held horizontally, and that they wanted to save space by making the baskets able to nest when not in use. So, Marlin’s engineering team added large, thick handles to the sides of the basket and made the bottom of the basket slightly narrower than the top. The handles made the basket easy to hand carry, and the narrower bottom allowed the baskets to slide into one another with ease. Once the design was completed, it was tested using Finite Element Analysis (FEA) software. 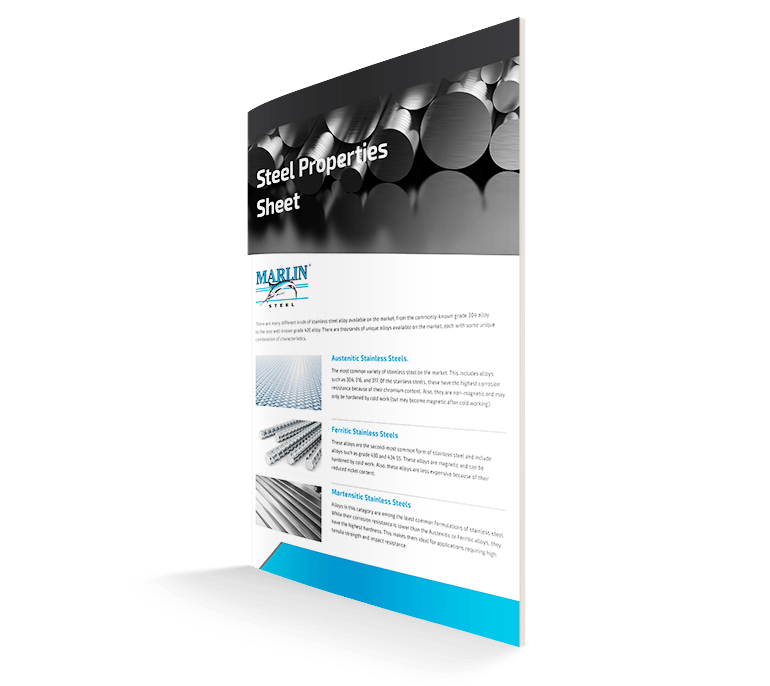 This software broke the design down into tens of thousands of “finite elements” and stress tested each to see what the effects of the client’s manufacturing process would be. If the basket would bend so much as the width of a human hair, it would fail the test and be sent back to the proverbial drawing board. The advantages of FEA testing are that it takes a fraction of the time traditional prototype tests would (mere minutes versus weeks) and that it doesn’t waste any money or material on setting up and manufacturing a potentially useless custom wire basket design—not a single ounce of metal is committed before the design is verified to be sufficient. A design could be the best in the world for a particular task, but without the ability to actually make that design a reality with consistent quality, the technical expertise and effort of the engineering team would be wasted. However, Marlin’s production team is up to the task—thanks to Marlin’s investments in manufacturing automation and ongoing employee skills development. By using automated wire bending and cutting machines, Marlin’s production team can get millimeter-precise lengths of wire cut and shaped in the exact way needed for each custom wire basket. Unlike manual laborers, these machines don’t get tired, bored, or hurt by repetitive motion stress injuries. So, they can consistently produce the exact same shape and length of wire time and again without needing to take breaks. To assemble the shaped wires, a wood block was routed. The wires would be set into the wood block to hold them in place as a welding machine joined them. Using this method helped to ensure that each and every last basket would have a consistent shape (and that no welds would be missed). Thanks to the use of factory automation, Marlin’s manufacturing team was able to complete all of the baskets needed to fulfill the client’s custom wire basket order in just a few days—shipping out the baskets quickly so the client’s manufacturing process wouldn’t be delayed. Need a custom wire basket for a special manufacturing application? Contact the experts at Marlin Steel to go over your needs!